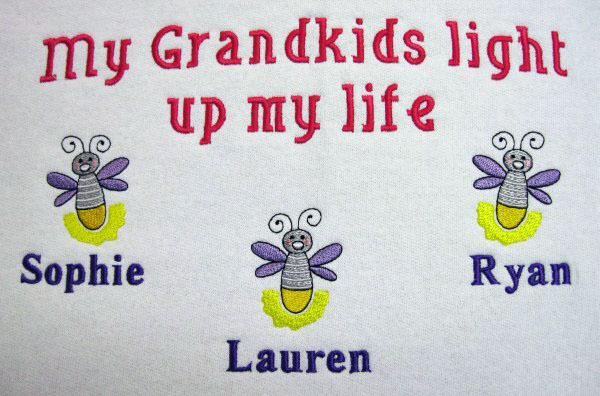 I will machine embroider this cute as a bug design on the front of a new Gildan 50/50 blend sweatshirt. All sizes are unisex. The design as shown measures 10 1/2"W x 7"H. This would change according to how many children are added. The max. number of children is 10. This is quite a large design. The price includes up to 4 children. Each addition child is $4.00.